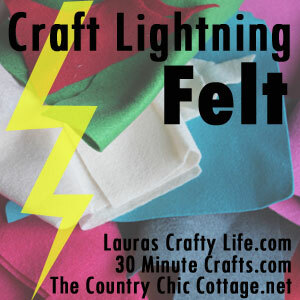 This week is a felt-themed Craft Lightning. 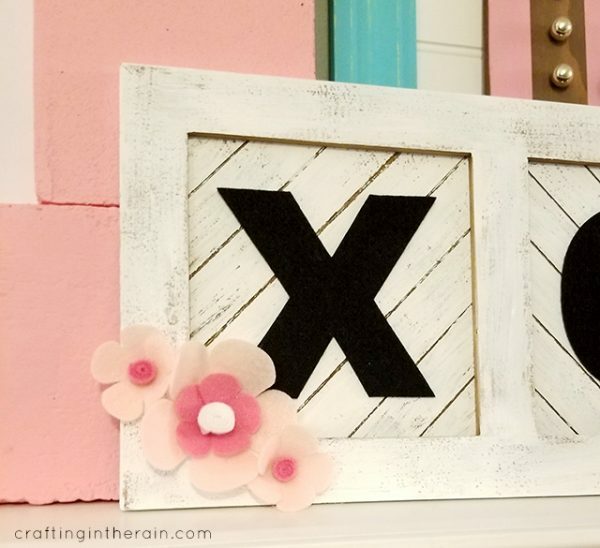 I decided to make something to add to my mantel for Valentine’s Day, and with the Cricut Maker, it was quick and easy to cut the felt I wanted. In Design Space, type X and O and size to fit your sign. Pick a couple of 3D flowers, and cut a few rectangles that are 5 inches x 1 inch. 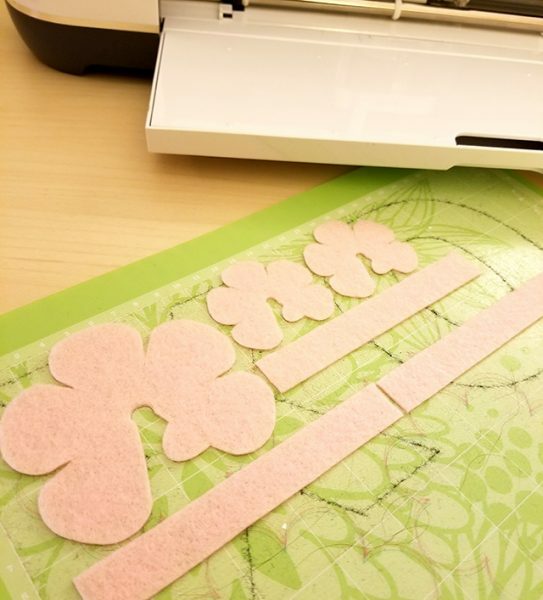 The Cricut Maker is amazing at cutting felt with the rotary blade. 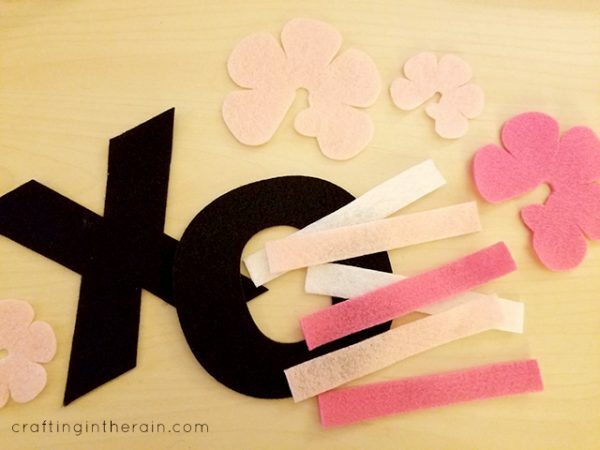 Cut X and O out of black felt and mix up the flowers and rectangles with light pink, dark pink and white felt. 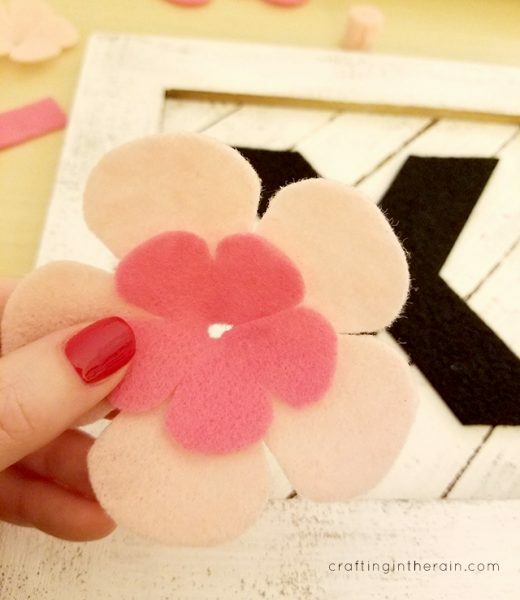 Roll up rectangles to make flowers centers and secure with hot glue. Glue other flowers together and layer as desired. 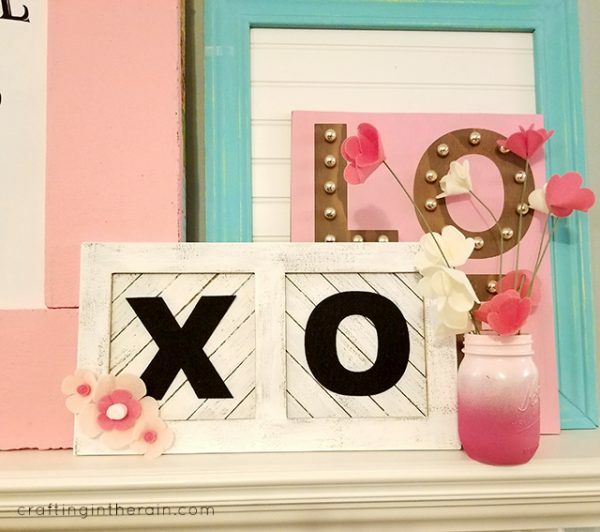 Glue the X and O in place and add a few felt flowers in the corner. I like how the felt gives a different look and texture than vinyl – which would also be hard to stick down to a “slat” type of design that this board has. 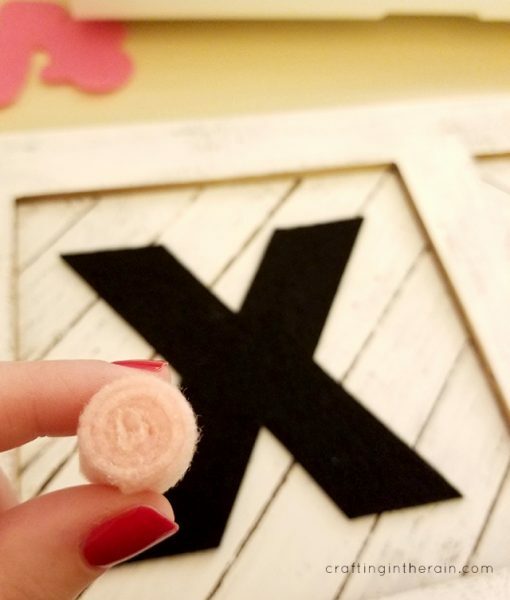 Check out the other Craft Lightning posts this week for even more felt craft ideas like this one! Adorable! I love (pun!!) decorating for Valentine’s Day! The felt flowers are so pretty! Love this sign.